GardenWise on Plans for Spring! While we enjoy the cooler Fall weather, it’s time to think about planting early Spring blooming bulbs to ensure your beautiful early Spring garden. Red Impression Tulips, Scilla, and Narcissus are just a few of the bulbs we’re planting this Fall for our clients. When you know a river of red tulips, a burst of cool Scilla blue, and striking yellow Narcissus that will rival the sun’s brightness is waiting for you in very early Spring, winter becomes much more tolerable! Enjoy Your Garden Through the Cold! The most important thing you can do to give your plants the best chance of making it through a cold snap is to mulch your garden now. Mulching will allow for moisture to be held in the plant’s roots while protecting and insulating the root system from sudden changes and bursts of cold weather. Getting Ready for 2011 in 2010, DC Style! 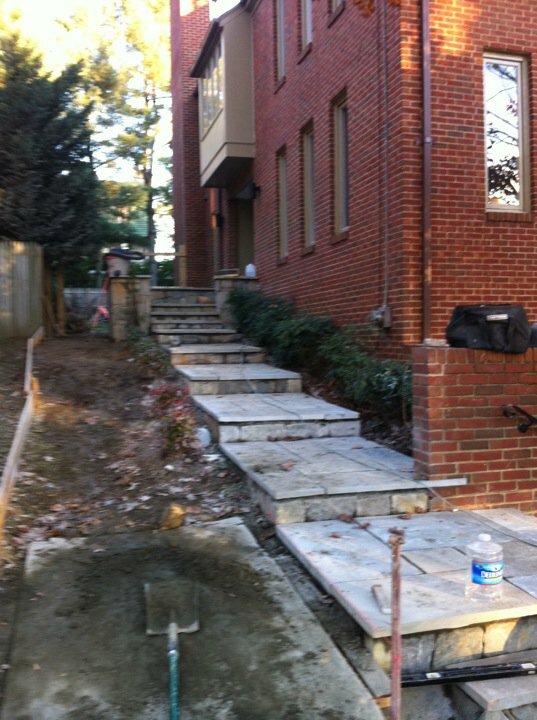 A new GardenWise project in DC, pictured left, includes a new front entrance that is under construction. Improvements include new stone entry walk, and a front porch with surrounding seat wall. An array of new plantings will include evergreens for year round interest, and a variety of perennials and ground covers that will provide texture and variety for seasonal interest. I design our gardens with multi-seasonal interest, which is very important since we experience all the seasons here in the DC-area. 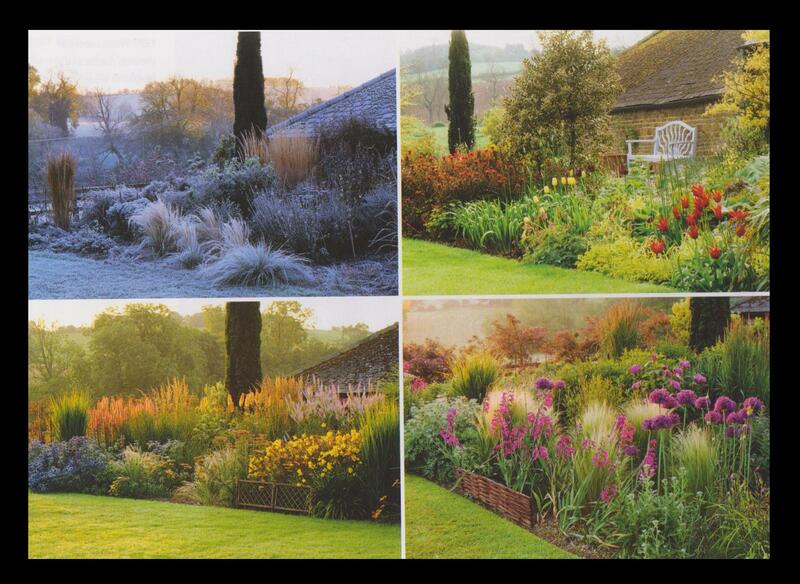 Creating a garden that will display great visual appeal each month of the year is GardenWise’s goal, so I was excited when I read this story in The English Garden called ‘A Plan for All Seasons’ and wanted to share this multi-seasonal garden in action. 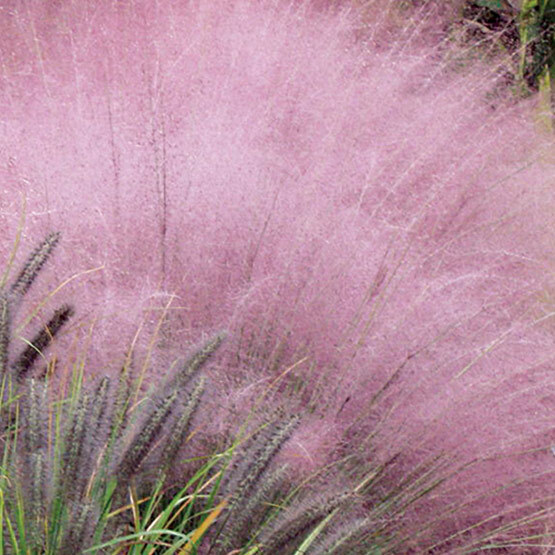 Today it’s all about one of my favorite Fall show stoppers — Pink Muhly Grass (Muhlenbergia capillaries.) It reaches about 4’x3′, with a nicely cascading, fountainous habit of cloud-like foliage. It also has billowy and profuse blooms. Pink Muhly is a North American native, and looks great en masse in a sunny garden border with hot-pink Knock Out Roses, or as a companion to fall blooming Sedum ‘Autumn Joy.’ Pink Muhly Grass is drought tolerant, so planting this beauty is a nice green garden step, and it’s a real “problem solver” for any landscape architect/designer. Don’t call the fire department because that’s not a fireball in your garden, it’s a Dwarf Burning Bush (Euonymus alata “Compactus,”) a low-care, beautiful shrub. With its upright, bushy and vase-shaped habit, Burning Bush is a Fall garden’s best friend with its brilliant and intense fiery scarlet Red foilage. Your guests will do a double take when they see your Burning Bush as it really is that visually appealing. It is such an incredible garden wonder, it can serve as your Fall focal point. 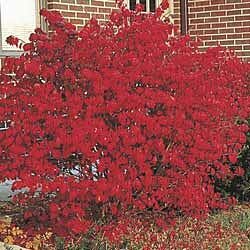 Burning Bush ranges from 6-10 feet high, and 6-10 feet wide, and it’s insect, disease, drought, heat, AND deer resistant, and tolerant of shade (but for the most intense fall color, plant it in full sun. ) It’s also versatile enough to use as a hedge screen en masse. As the temps come down, it’s the perfect time to focus on Spring 2011. If you act now, you’ll be rewarded with a blast of color early in the season that will make you the envy of your entire neighborhood. Snowdrops, crocus, narcissus, and tulips are just a few of the earliest flowers to emerge in the spring. They welcome the warm weather after many cold months of winter with bright color and cheer. However, if you wait , you’ll miss out! So make some notes, and make some plans, because these bulbs need to be planted soon for early spring color.